Planning a Walt Disney World vacation is a daunting task, but planning a multigenerational Walt Disney World vacation? It’s like a full-time job! It’s a lot of work and can be very stressful. Here is a list of 10 things to consider when planning a magical vacation that spans generations. The best way to get started is to get all of the adults together and have a meeting, either in person or on a conference. Pick one person from the group to be the point of contact for your vacation planner. If everyone is contacting the vacation planner with different requests and information it’s going to be very chaotic. Everyone needs to decide on one person to represent the group. Right from the beginning, settle on a budget that everyone can agree on and afford. Nothing can cause problems more than part of the group stressing over a vacation they can’t afford. Everyone needs to have input and agree on the budget before you even start to look at options. You must consider the time of year you want to visit. The Florida heat can be brutal, especially for young kids and grandparents. Traveling when the temperatures are cooler and crowds are lower, like in the fall or early in the year, is ideal if everyone’s schedule allows. Your vacation planner can help you pick the best time for your vacation. Do you want separate rooms for some time apart or a large villa where everyone can stay together? This is a big decision. Being together 24/7 isn’t for all families. Also, take everyone’s budget into consideration. There are over 20 onsite Walt Disney World resort hotels to choose from so make sure you pick one that everyone agrees on and can afford. Do you want to visit one park per day or hop between parks? Which dining plan do you want? Do you want to attack the parks at full speed from sun up to sun down or tour at a more leisurely pace? Stay together as one large group or split up for part of the day? There’s nothing wrong with splitting up so that everyone can do what things they want that some people may not. The grandparents may want to golf one day or relax and enjoy the resort. You can always come together in the evening for dinner, but make sure that everyone gets to pick at least one thing they really want to do. 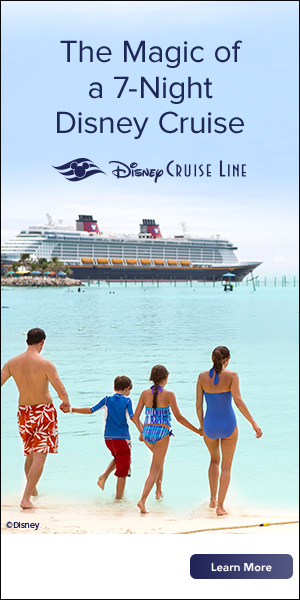 When planning a multigenerational Walt Disney World vacation, advanced planning is very important. You need to book your vacation package at least 7 months in advance to have the best chance of getting what you want. When you stay in one of the Walt Disney World Resort Hotels, table-service dining reservations can be made starting 180 days prior to checking in. Fastpass+ reservations can be made 60 days prior to checking in. You definitely need to take advantage of these benefits. Purchase the Memory Maker so you can all have pictures of the whole family to remember this special trip. If traveling with young kids, reserve a stroller so the kids don’t get overly tired and grouchy. If you’re not sure if the grandparents can handle all of the walking, rent scooters so they can keep up with everyone. Your vacation will run much smoother and be more enjoyable. If the grandparents can handle it, let them pick something special to do with just the kids. A dessert party, dinner show or special event like Mickey’s Not So Scary Halloween Party are just a few of the many options to make special memories together. It’s also a chance for you to have a special date night without the kids! Be realistic with your expectations. You can never do everything in one trip regardless if you’re a party of 2 or 20. Don’t get so busy trying to do everything that you miss the best little moments of Disney magic. 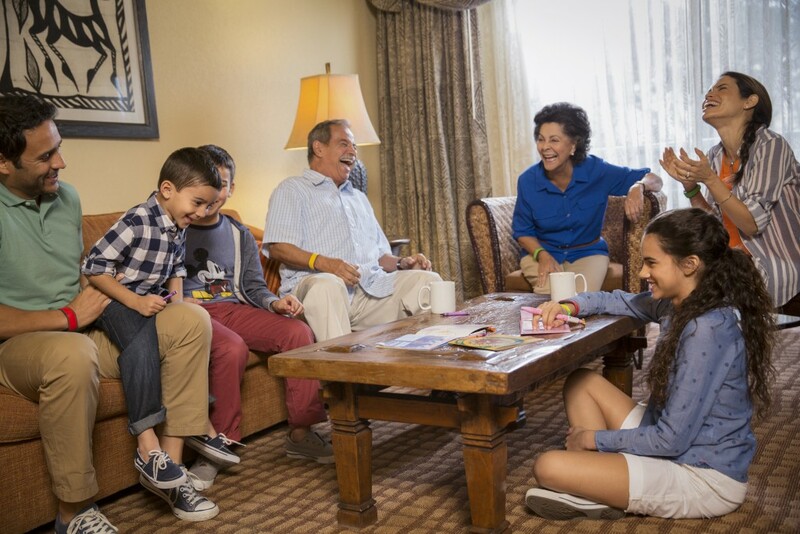 The best advice I can give you is to book your multigenerational Walt Disney World vacation with a travel agent that specializes in Disney, like Starts With a Wish Travel! We know Disney like the back of our hand and can help you with every little detail from start to finish. We will help you choose the best package options, dining options, Fastpass+ choices and special extras for your group to make your trip magical. We will be available during your vacations should problems arise. We will provide you with a customized itinerary and touring plan for everyone in your group. 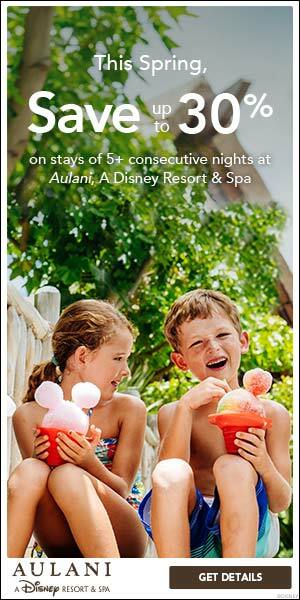 Contact one of our vacation planners for more information on multigenerational Walt Disney World vacation today!